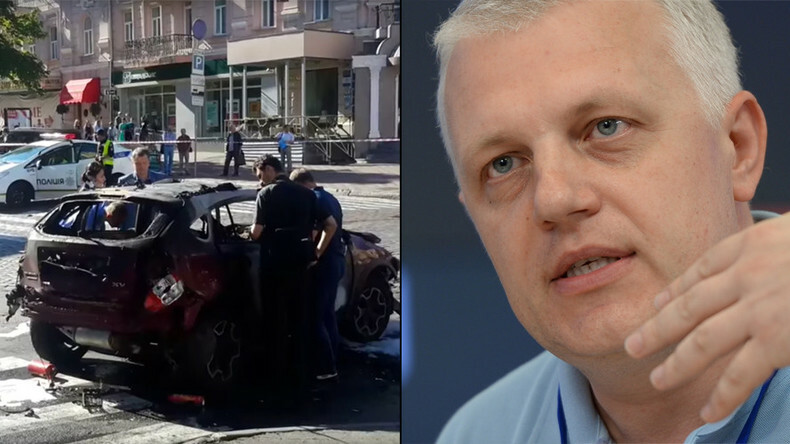 Well-known Russian journalist Pavel Sheremet has died in downtown Kiev when the car he was driving blew up minutes after it started. The vehicle belonged to his employer, the head of Ukrainskaya Pravda newspaper. The killing of the journalist in Kiev is murder, with a bomb planted in the car he was in, the Ukrainian Prosecutor's Office has said. “No doubt the blast was caused by an explosive device implanted by malefactors. Evidently, the bomb had either a frequency-induction fuse or clock-operated bomb,” Anton Gerashchenko, a Ukrainian MP and aide to the interior minister, told 112 Ukraine channel. The explosion occurred at about 7:45am, after Sheremet got into the car, started the engine and drove several dozen meters. He was killed instantly. The vehicle has completely burnt out. The vehicle belonged to Alyona Pritula, the founder and chief editor of Ukrainskaya Pravda media outlet. She was not inside the vehicle at the moment of explosion. President Petro Poroshenko offered his condolences in a Twitter post, saying he is "shocked" and "has no other words." He added that he personally knew the journalist. Sheremet was a well-known Russian journalist and political analyst specializing in relations between Russia and Ukraine, as well as developments in former Soviet republics. Over the last five years, Sheremet lived and worked in Ukraine, employed by the UP. The media company was founded in 2000 by Pritula and Georgy Gongadze, a Ukrainian journalist of Georgian origin who was assassinated on September 17, 2000. The Ukrainian system has become a “mass grave” for journalists, Russian Foreign Ministry spokesperson Maria Zakharova said Wednesday. “Ukraine (not as a country, but as a system) is becoming a collective grave for journalists and journalism,” Zakharova said. As recently as May, Ukraine was rocked by a big scandal after the personal data of more than 4,000 media staff were posted online by Ukrainian 'witch-hunting' website Mirotvorets supported by the aide to Ukraine's interior minister. They were accused by pro-Kiev activists of “collaborating with terrorists” for their reporting from war-torn eastern Ukraine. The list included the names of people working for such as news agencies AFP, AP and Reuters, broadcasters BBC, CNN, CCTV, Deutsche Welle and Al Jazeera, newspapers including the New York Times, Gazeta Wyborcza and Kyiv Post, websites Vice News and Daily Beast, and many others. RT journalists are on the list too. Many journalists on the list said they received threats following the publication. The leak was widely condemned by governments, NGOs and journalists across the globe. 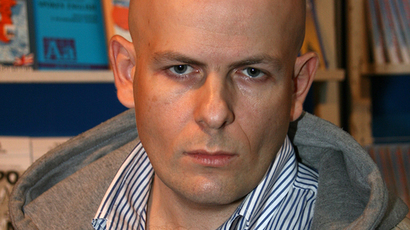 Last April, Ukraine saw the killing of opposition journalist and writer Oles Buzina, who was assassinated near his house in Kiev. Police believe it could have been a contract killing, which happened right after the vicious murder of another Ukrainian journalist, Sergey Sukhobok. And in 2014, Russian photo journalist Andrey Stenin, who had been missing in eastern Ukraine for a month, was confirmed dead as his charred remains were found in his vehicle. He died while traveling in a convoy of civilians escaping from the warzone in eastern Ukraine. The same year, Russian journalists Igor Kornelyuk and Anton Voloshin were killed near Lugansk, eastern Ukraine, when they came under determined mortar fire from the Ukrainian military. According to the Ukrainian media, 15 journalists have died in Ukraine since early 2014.